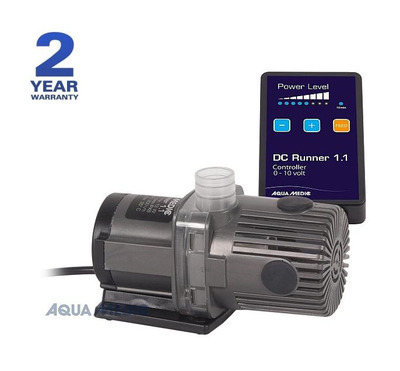 The DC Runner x.1 series of high performance, low voltage (24v DC), adjustable circulation pumps are the most recent update of the original DC Runner pump range. The power saving DC motor offers proven reliability, high efficiency, very quiet operation and low energy consumption. DC Runner pumps are supplied complete with an updated DC Controller. The pumps are suitable for fresh or saltwater use.